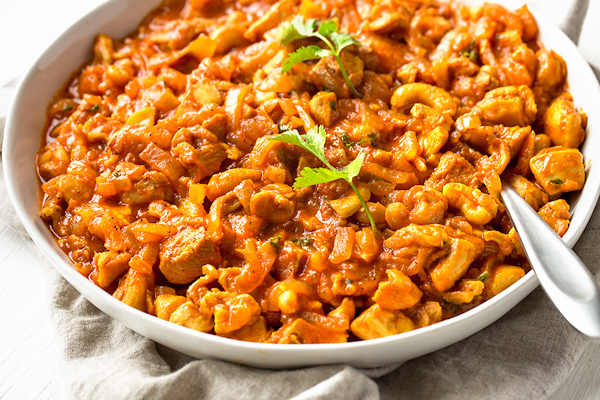 Saucy, savory and warming, this flavorful cashew chicken is filled with aromatic ingredients including curry powder, ginger, garlic, and turmeric; and it’s the perfect quick and healthy weeknight meal! Ever since being introduced to the flavors of coriander, cumin, curry, turmeric and the like, I’ve been an adoring fan of warm spices. When these delectable spices are added into a dish, they create a sense of extra warmth and coziness for me. They create the sense that I am taking in something soothing and good, something that will nourish and invigorate me completely. This delicate and delectable cashew chicken recipe is a wonderful offering sprinkled with these fragrant flourishes. It’s a saucy, warming, and colorful dish that awakens the tastebuds and comforts with each bite taken. 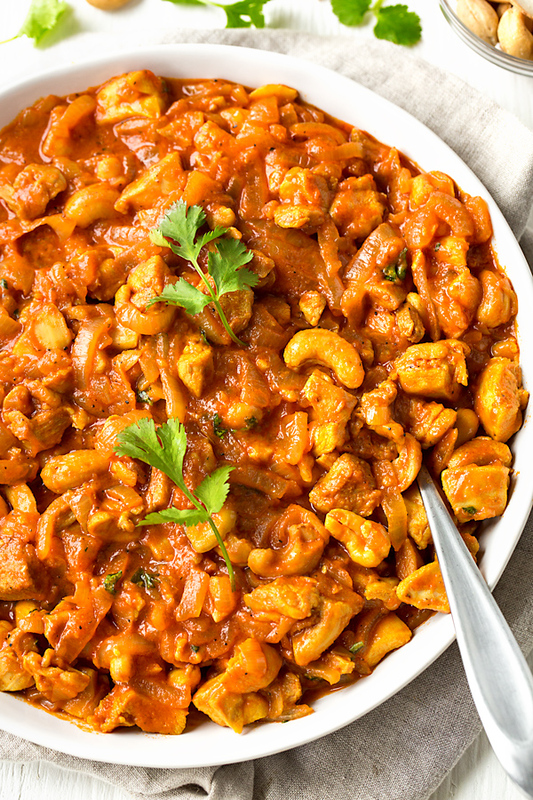 Filled with lots of nutty roasted cashews offering crunch and texture, and finished with a touch of fresh cilantro for an earthy fresh note, this recipe will fill your kitchen with rich aroma, and is just the perfect thing to prepare to nourish a hungry soul. It’s the aromatic ingredients—the garlic, the onions, the ginger, the curry, the turmeric, etc.—that create the depth of a good, simple dish, and offer up a wonderful and delicious surprise in each spoonful. And it is also important what kind of fat you use. In this case, I prefer to use ghee, or clarified butter, which is richly aromatic and flavorful. For my cashew chicken recipe, I use a couple of onions that I slice thinly, along with garlic and my handful of warming spices, and I sauté those in the ghee before gently simmering the chicken in this mixture (along with a touch of tomato paste and chicken stock) until it is tender. And of course, one of the stars of this dish is the cashews, and I opt for roasted cashews for that nutty-sweetness and crunch. 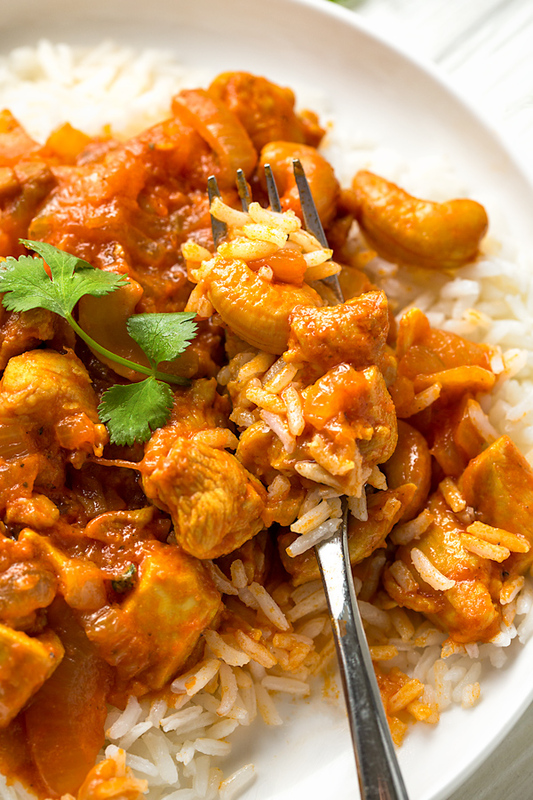 The combination of flavors and textures in this recipe creates a uniquely flavorful and deeply rich dish, perfect served over basmati rice. My recipe is really all about layering the ingredients, hence creating those intoxicating flavors, so that they meld together and create something truly delicious. Another great thing about this recipe is that it only takes roughly twenty-five minutes to prepare—this means you can have a hot, delicious restaurant-quality meal on the table in no time, prepared by your own hands, and with extra sprinkles of love and care added in. In a large skillet, I saute my onions in the ghee (or clarified butter) until softened; I then add my spices and my garlic, stirring until they become aromatic. Next, I add in my tomato paste, followed by my chicken, and stir to coat it in the mixture. Then, I add in my chicken stock (or broth), allow things to simmer for about 25 minutes, and finish with the roasted cashews and the fresh cilantro. To serve, I spoon the cashew chicken over hot basmati rice, and garnish with extra cilantro (or even green onion). Juicy chicken thighs: I find that the best kind of chicken to use for this recipe is skinless, boneless chicken thighs. They are very flavorful, tender and juicy, and do not dry out even if simmered a bit longer. However, you can use skinless, boneless chicken breasts—just take care not to over cook the pieces as they can become a bit dry if you do. Warming spices: The spices for this recipe can typically be found in the spice isle of your local market. Curry powder and turmeric are both bright yellow, and beautifully colorful. The recipe calls for ground ginger, but you can easily sub fresh grated ginger instead, if you like—just use a touch more. 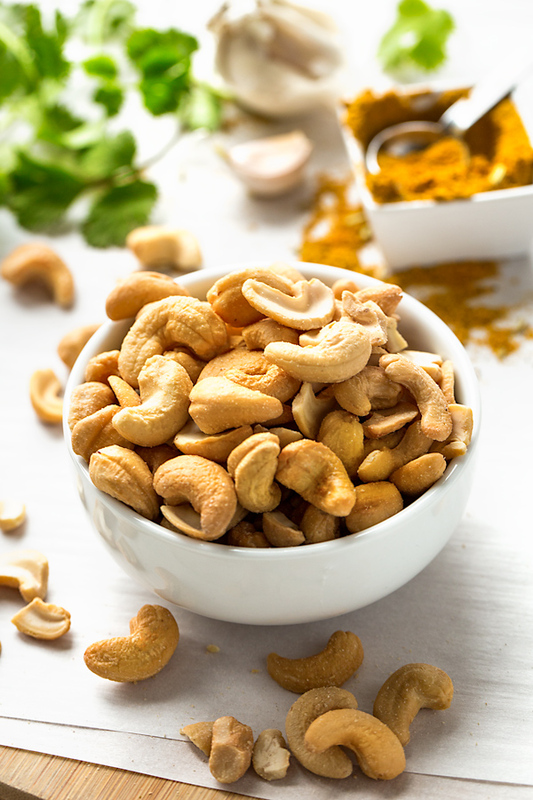 Crunchy, unsalted cashews: It is up to you whether you choose to use raw or roasted cashews, but the roasted do offer a lot more flavor. Also, try to choose unsalted cashews, as this way you can control the salt level in the dish. A bed of fragrant rice: My personal favorite side to serve this cashew chicken with is fragrant basmati rice. You can also sub brown rice, quinoa, potatoes… the choice is yours! 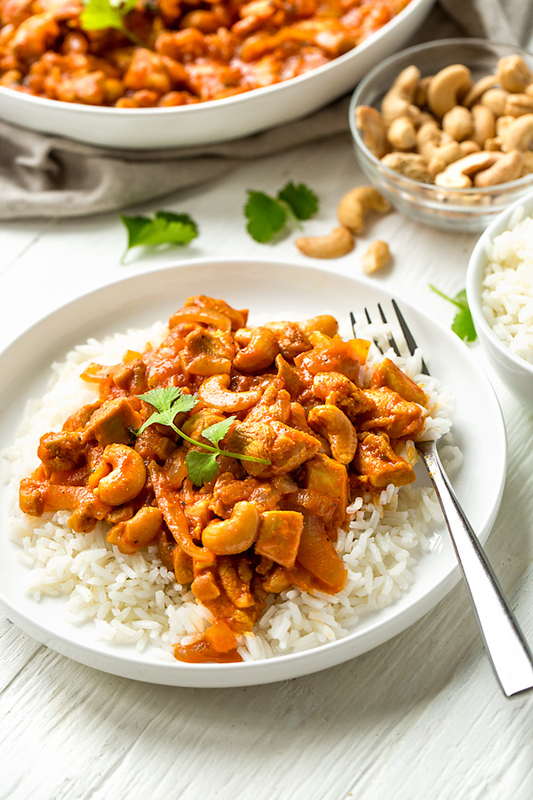 This rich, saucy cashew chicken is prepared with aromatic spices such as curry, ginger, turmeric and coriander, and makes for a warming meal! -In a small ramekin, mix together all of the spices beginning with the curry powder up to and including the black pepper, and set aside this spice mixture. -Place a large, heavy pan or braiser over medium-high heat, and add in the ghee/clarified butter; once the butter is hot, add in the sliced onions and saute those for about 8-10 minutes, or until softened and a a very pale golden color. -Sprinkle in the spice mixture and add in the garlic, and stir to combine; then, add in the tomato paste and stir that in until everything is well coated and aromatic; add in the chicken pieces plus a good pinch of salt, and stir to coat the chicken. -Add in the chicken stock, stir, and bring the mixture to a simmer; reduce the heat to medium-low, and simmer gently, uncovered, for about 25 minutes, until the chicken is cooked through and the flavors melded. -Finish by stirring in the cashews and the cilantro, and check to see if any additional salt/pepper is needed; serve over basmati rice. 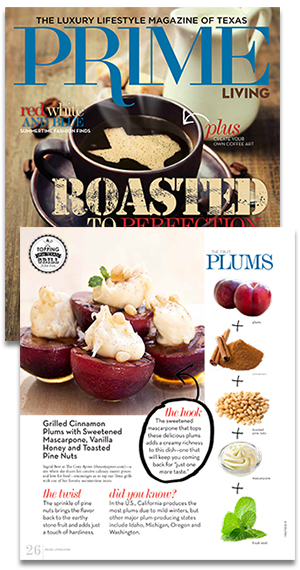 Hungry for more “warming” recipes? Check out this Lentil Soup, this Stuffed Eggplant, this Arroz con Pollo, or this Curried Chicken Salad Sandwich! Oh yeah! This looks delicious! Hey Karly, thanks so much! 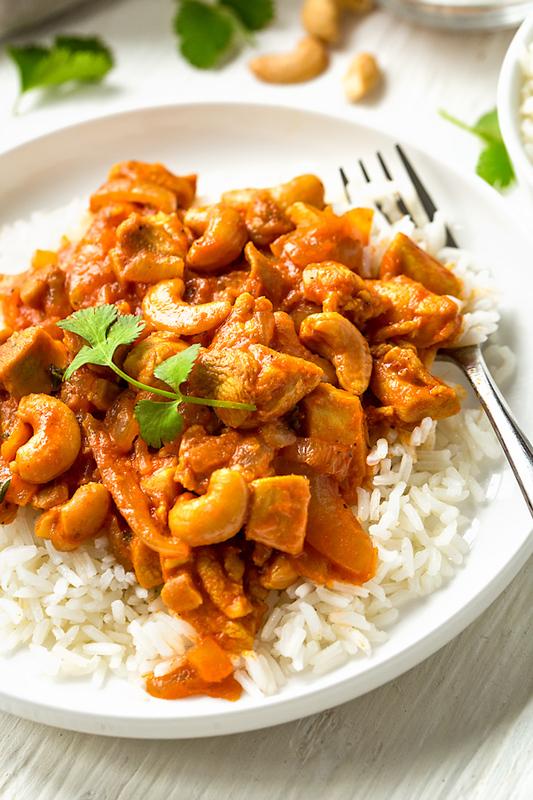 Ingrid, I’ve never prepared or eaten a curried entree before this one, but you had me at “warm spices” and I dived right in for Valentine’s Day supper. And, typically, I’m not crazy about rice based presentations, either, but THIS tasted like comfort food from the first bite! We are looking forward to another meal this weekend with the leftovers! Thank you, again, for sharing your recipes and technique with us! And, by the way, I particularly enjoy the video of “Morning Tea”. It is relaxing and calming, and speaks quietly of cozy warmth. It would be perfect as a screen saver to view and be often reminded of the gifts we have been given on this earth! 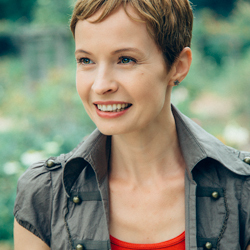 I appreciate your kind words very much, and am so glad you are finding uplift in the recipes and even our little videos…it means so much to have you share with us that you’ve been positively touched by what we do, so I thank you for that.